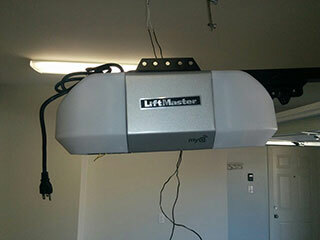 Having an automatic garage door does make life a little bit easier around the house and it also offers improved levels of security. As perfect as it might feel like with an automatic door, there is a way to make it even better using the new technologies of this day and age. Read the following alternatives and learn how you can improve the user experience even more. One of the most popular solutions to having too many controllers lying around is to invest in a good quality universal remote controller for your system. Just think, if you have more than one remote for different appliances in your house, and four or five family members, each need a remote, it doesn’t take very long before there is an overwhelming amount of clickers floating about your house. This is when things get lost, damaged or forgotten about. Having a universal controller for each person in the house is a great solution to minimizing this problem, and maintaining easier control over your controllers. When you need to let someone in to your home, it can happen often enough that the controllers are nowhere to be found, outside in the car, or in a very inconvenient location. Investing in an intercom, or better yet a wireless keypad for your system is a great way to combat this. You can take them with you to anywhere in the house so that you are never too far away from letting someone in, and on some devices you can even have an audio and video feed so that you know exactly who wants to come in. For larger homes, having multiple keypads in strategic locations makes things a lot easier for you as well. We live in the 21st century and there are lots of neat tools to help us stay connected, and these tools usually make good use of technology like Bluetooth or Wi-Fi to do this. Excitingly enough, many brands of garage door receivers do this too. These handy devices will allow you to connect your doors with your mobile devices such as smart-phones and tablets, in order to use them as controllers instead of just standard remotes. With Bluetooth you will have range around your entire house, but with Wi-Fi you would even be able to open up your garage from literally anywhere with an internet connection, even from another country.